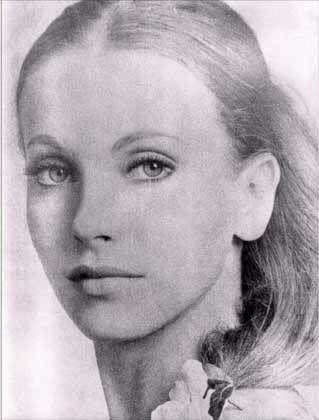 Maria Orsitsch, also known as Maria Orsic, was a famous medium who later became the leader of the Vril Society. She was born on 31. October 1895 in Zagreb. Her father was a Croatian and her mother was a German from Vienna. During a trip to Vienna, Tomislav met an exceptionally beautiful young ballerina by the name of Sabine. They fell in love, and married short after, and on 31. October 1895 in Zagreb, Sabine Orsic gave birth to a stunning blonde girl she named Maria. Later Tomislav changed his first name to Thomas. Maria was more beautiful than any Hollywood star at that time. Maria Orsitsch was first mentioned and pictured in 1967 by Bergier and Pauwels in their book:"Aufbruch ins dritte Jahrtausend: von der Zukunft der phantastischen Vernunft"
Maria soon followed the German national movement which was active after the WWI; the main goal of the movement was to unite Austria with the Germany. In the year 1919 Maria moved to München, to her fiance. In Munich Maria was in contact with the Thule Gesellschaft and soon she created her own circle together with Traute A. from Munich and several other friends: the “Alldeutsche Gesellschaft für Metaphysik”, official name of the Vril Gesellschaft. All of them were young ladies, which among other things were against the arising fashion of short hair-styles for women. Both Maria and Traute were beautiful ladies with very long hair; Maria was blond and Traute was brown-haired. They had long horse tails, a very uncommon hairstyle at that time. This became a disctinctive characteristic in all the women who integrated Vril which was maintained till May 1945. They believed that their long hair acted as cosmic antennae to receive alien communication from beyond. In public, however, they hardly ever exhibited the hair in horse tail style. For identification, Vril members (also called Vrilerinnen) wore a disk which represented the two mediums: Marija Oršić and Sigrun. The Vril Society was formed by a group of female psychic mediums led by the Thule Gesellschaft medium Maria Orsitsch (Orsic) of Zagreb, who have received communication from Aryan aliens living on Alpha Cen Tauri, in the Aldebaran system. Allegedly, these aliens had visited Earth and settled in Sumeria, and the word Vril was formed from the ancient Sumerian word "Vri-Il" ("like god or God-like"). A second medium was known only as Sigrun, a name etymologically related to Sigrune, a Valkyrie and one of Wotan's nine daughters in Norse legend. Tempelritter im Wiener Cafe "Schopenhauer"
Im Jahre 1917 trafen sich im Wiener Cafe >Schopenhauer< vier Personen mit dem dem Prälat Gernot von der Erbengemeinschaft der Tempelritter<, es waren Freiherr Rudolf von Sebottendorf, Karl Haushofer, Lothar Waiz und Maria Orsitsch (Orsic) aus Zagreb. Bei diesem Treffen erhofften sie etwas über die Offenbarungstexte der Templer und dem geheimen Orden >Die Herren vom Schwarzen Stein< von den Prälaten zu erfahren. Während dieser Unterredung eröffnete ihnen Gernot die Offenbarung der Templer: >...vom kommenden Wassermannzeitalter und der Zentralsonne die dieses bewirkt<. Es war die Rede vom kosmischen Jahr, welches 25860 Jahre währt und das der Übergang vom Fisch- ins Wassermannzeitalter eine Umformungsphase von 168 Jahren, den >Drei Schritten Marduks<, benötigt. Während des zweiten Schrittes, d.h., in der Hälfte der 168 Jahre, wurde das Erstauftreffen des >ILU – Stahles< vorhergesagt. Nach den Berechnungen der Templer wurde dieses Ereignis für 1968 vorrausgesagt. Demnach waren auch für den Beginn, 1934, und dem Ende, 1990, wichtige Ereignisse vorhergesehen. Es war in der Vorhersehung das germanische Volk mit der Schaffung eines Lichtreiches verbunden und dieses sollte sich im neuen Zeitalter erfüllen. In late November 1924 she visited Rudolf Hess in his apartment in Munich, together with Rudolf von Sebottendorf, the founder of the Thule Gesellschaft. Sebottendorf wanted to contact Dietrich Eckart, who had deceased one year before. Eckert had translated Ibsen's plays into German and had published the magazine Auf gut Deutsch; he had also been a member of the Thule Gesellschaft. To establish contact with Eckart, Sebottendorff and other Thulists (amongst them Ernst Schulte-Strathauss) joined hands around a black-draped table. Hess found unnerving to watch Maria Orsic's eyeballs rolling back and showing only whites, and to see her slumping backward in her chair, mouth agape. However Sebottendorff smiled in satisfaction as the voice of Eckart started coming out of the medium. Eckart announced that he was obliged to let someone else's voice come through, with an important message. A weird voice then identified itself as the Sumi, dwellers of a distant world, which orbits the star Aldebaran in the constellation you call Taurus the Bull. Hess and Schulte-Strathaus blinked at each other in surprise. According to the voice, the Sumi were an humanoid race who had briefly colonized Earth 500 million years ago. The ruins of ancient Larsa, Shurrupak and Nippur in Iraq had been built by them. Those of them who survived the great flood of Ut-napishtim (the Deluge of Noah's Ark) had become the ancestors of the Aryan race. Sebottendorff remained skeptical and asked for proof. While Maria was still in a trance, she scribbled several lines of queer-looking marks. Those marks turned out to be ancient Summerian characters, the language of the founders of the oldest Babylonian culture. In December 1919 a small group of persons from Thule, Vril and DHvSS (Men of the black stone) rented a small forester's lodge in the vicinity of Berchtesgaden (Germany) where they met, accompanied by Maria Orsic and another medium who is only known as Sigrune. The solar system of Aldebaran is 68 light-years from Earth, and two inhabited planets which constitute the Realm of Sumeran orbit around their sun. The inhabitants of this solar system are subdivided into masters, White God-like people (Aryans) and other different human races. These latter developed because of climatic changes on the individual planets, and were the result of a degeneration of the God-like people. These mutants came to have a spiritual development inferior to the God-like people. The more the races mixed together, the more their spiritual development was degraded. Consequently, when the sun (Aldebaran) began to expand, they were no longer able to make interplanetary voyages like their ancestors; it had become impossible for them to leave their planets. Thus the inferior races, totally dependent on the masters, came to be evacuated in spaceships and taken to other habitable planets. In spite of the differences, there was respect between these two races, they did not encroach upon each other's living space (in contrast to Earth). The race of the masters, the White God-like people, had started to colonize other planets similar to Earth 500 million years ago, following the expansion of the Aldebaran sun and the growing heat resulting from it, which made the planets uninhabitable. It was said that they colonized the planet Mallona (also called Maldek, Marduk, or Phaeton by the Russians) in our solar system, which existed at that time between Mars and Jupiter, where the asteroids are found today. After that, Mars, of which the great pyramid cities and the well-known Martian face, photographed in 1976 by the Viking probe, bear witness to the high level of development of its inhabitants. From there, in that era, it was assumed that the God-like people of Sumeran Aldebaran came to Earth for the first time. Old traces of a petrified shoe about 500 million years old, with a trilobite petrified together with the sole of that shoe, bear witness to it. That primitive fish lived on Earth then, and disappeared 400 million years ago. The Vril Society members thought that the Aldebaranians landed later on, when the Earth became slowly habitable, in Mesopotamia, and that they formed the dominant caste of the Sumerians. These Aldebaranians were called White God-people. Moreover, the Vril telepaths received the following information: the Sumerian language was not only identical to that of the Aldebaranians, but it also had tones similar to German, and the frequency of the two languages was almost identical. Does this correspond with reality? Let us say simply that the construction drawings and the technical data received by the telepaths - no matter where they came from - were so precise that the most fantastic idea ever conceived by man was born: the building of a machine for flight to the beyond! The concept of an "other science" mentally matured (today one would use the term "alternative forms of energy"). It was three years before the project got under way. In that first phase of an "other technology" or an "other science" Dr W. O. Schumann, a member of the Thule and Vril Societies, gave a lecture at the Faculty of Science in Munich. Vril documents mention these telepathic messages had their origin in Aldebaran, a solar system 68 light-years away in the constellation Taurus. She had two piles of papers: one with the Templar script, the other with a legible writing. Maria suspected the second pile would be written in an ancient eastern language and therefore she could be aided by the Panbabylonists, a circle close to the Thule society which was integrated by Hugo Winckler, Peter Jensen, Friedrich Delitzsch and others. It turned out that the apparently misterious language was actually ancient Summerian and hence the language of the ancient Babylonian culture founders. Sigrun, from the Vril gesellschaft helped translate the language and decipher the strange mental images of a circular flight machine. The concept of "alternative science" matured in this time and the following years. Because of the financing difficulties it took three years until the flying machine project started taking shape. By 1922, parts for the machine began arriving independently from various industrial sources paid in full by Thule and Vril. -This is a secret Himmler and Sebottendorff took to the tomb. It is said though that Vril society occasionally for Adam Opel AG and Arado asked them for a special type of propulsion for their planes. Vril is said to have been included in the secret organization Himmler created, "Die Kette". In December 1943 Maria attended, together with Sigrun, a meeting held by Vril at the seaside resort of Kolberg. The main purpose of the meeting was to deal with the "Aldebaran project". The Vril mediums had received precise information regarding the habitable planets around the sun Aldebaran and they were willing to plan a trip there. This project was discussed again the 22nd January 1944 in a meeting between Hitler, Himmler, Dr. W. Schumann (professor of the Technical University of Munich) and Kunkel of the Vril Gesellschaft. It was planned to send the VRIL-7 large-capacity craft through a dimension channel independent of the speed of light to Aldebaran. According to N. Ratthofer (writer), a first test flight in the dimension channel took place in late 1944. The test flight almost ended in disaster because after the flight the Vril 7 looked "as if it had been flying for a hundred years". Its outer skin looked aged and had suffered damages in several places. Maria Orsic disappeared in 1945. The 11th of March of 1945 an internal document of the Vril Gesellschaft was sent to all its members; a letter written by Maria Orsic. The letter ends: "niemand bleibt hier". This was the last announcement from Vril, and since then none heard again from Maria or the rest of members. It is speculated they escaped to Aldebaran. Orsic may have had a daughter named something like Schultz or Stilts in Long Island who married Milanese banker Raffa (Chase-Manhattan)and been behind the new CAUSA NOSTRA VRIL in Milan. Maria Orsic was aided in her escape 11 March 1945 by a general Hans-Georg Schmidt von Altenstadt, who was awarded the Iron Cross 8 May 1944, promoted to Major-General on 1 July 19444. He was married to one of Orsic's Vril Maidens, Franziska Oettingen, the niece of one of Orsic's original supporters, Franziska Romana. Franziska Romana had donated a diamond tiara to Orsic before her death 25 March 1931, to help finance her Vril Society, and her niece, Franziska Oettingen, was disowned by the Oettingen family when she became a Vril Maiden 15 September 1931. General von Altenstadt aided Orsic in her escape and none of the three of them was ever caught or tried. 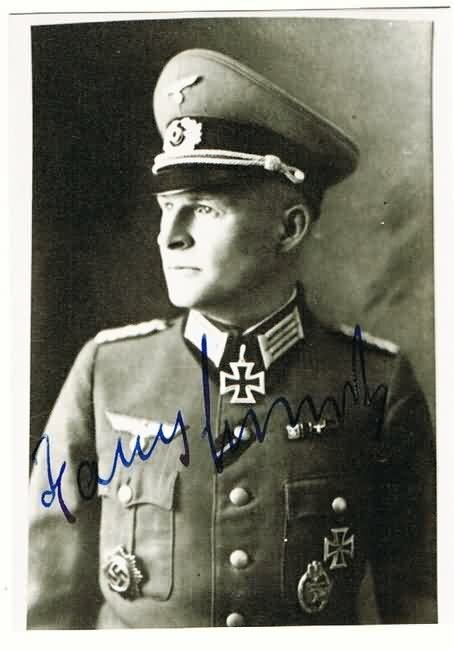 (Hitler's Ashes: Buechner, Colonel Howard A., Captain Bernhard joined the German Navy in 1943 and was assigned to the Reich Undersea Boat Service. He served aboard the submarine U-530 from August of 1944 until it surrendered and was scuttled off the coast of Mar del Plata, Argentina on July 10, 1945.: Buechner precisely details the escape routes. The VIP route generally went by U-boat to Norway and then down the Atlantic to South America or wherever. The lower eschalon in the Nazi hierarchy generally took the southern escape route through Italy. Maria Orsitsch, also known as Maria Orsic, was a famous medium who later became the leader of the Vril Society - Vril Gesellschaft. She was born in Vienna (Austria). Her father was a Croatian from Zagreb, her mother was from Vienna. Maria soon followed the German national movement which was popular at this time; the main goal of the movement was to annex Austria with the German Reich. In 1917 the occultist Karl Haushofer, Baron Rudolf von Sebottendorf, the WWI ace pilot Lothar Waiz, prelate Gernot of the secret "Societas Templi Marcioni" (The Inheritors of the Knights Templar) and Maria Orsic, a transcendental medium from Zagreb, met in Schopenhauer cafè© in Vienna. They all had extensively studied the Golden Dawn, its teachings, rituals and especially its knowledge about Asian secret lodges. Sebottendorf and Haushofer were experienced travelers of India and Tibet and much influenced by the teachings and myths of those places. During the First World War, Karl Haushofer had made contacts with one of the most influential secret societies of Asia, the Tibetan Yellow Hats (dGe-lugs-pa). The contacts between Haushofer and the Yellow Hats led in the Twenties to the formation of Tibetan colonies in Germany. The four young people hoped that during these meeting in Vienna they would learn something about the secret revelatory texts of the Knights Templar and also about the secret fraternity Die Herren vom schwarzen Stein (The Lords of the Black Stone). Prelate Gernot was on of the Inheritors of the Knights Templar, which are the only true Templar society. They are the descendants of the Templars of 1307 who passed on their secrets from father to son until today. Prelate Gernot apparently told them about the advent of a new age the change-over from the Age of Pisces to the Age of Aquarius. In December 1919 a members of Thule, Vril and DHvSS (Die Herren vom schwarzen Stein - The Lords of the Black Stone) rented a small forester's lodge in the vicinity of Berchtesgaden (Germany) where they met, accompanied by Maria Orsic and another medium who is only known as Sigrun. Maria claimed to have received mediumistically transmissions in a secret German Templar script - a language unknown to her - containing technical data for the construction of a flying machine. Vril documents mention these telepathic messages had their origin in Aldebaran, a solar system 68 light-years away in the constellation Taurus. She had two piles of papers: one with the Templar script, the other with a legible writing. Maria suspected the second pile would be written in an ancient eastern language and therefore she could be aided by the "Panbabylonists", a circle close to the Thule society which was integrated by Hugo Winckler, Peter Jensen, Friedrich Delitzsch and others. It turned out that the apparently misterious language was actually ancient Summerian and hence the language of the ancient Babylonian culture founders. Sigrun, from the Vril gesellschaft helped translate the language and decipher the strange mental images of a circular flight machine. The concept of other science (or alternative science or secret science) matured in this time and the following years. Because of the financing difficulties it took three years until the flying machine project started taking shape. By 1922, parts for the machine began arriving independently from various industrial sources paid in full by Thule and Vril. In Munich Maria was in contact with the Thule Gesellschaft and soon she created her own circle together with Traute A. from Munich and several other friends: the “Alldeutsche Gesellschaft für Metaphysik”, official name of the Vril Gesellschaft. All of them were young ladies, which among other things were against the arising fashion of short hair-styles for women. Both Maria and Traute were beautiful ladies with very long hair; Maria was blond and Traute was brown-haired. They had long horse tails, a very uncommon hairstyle at that time. This became a disctinctive characteristic in all the women who integrated Vril which was maintained till May 1945. They believed that their long hair acted as cosmic antennae to receive alien communication from beyond. In public, however, they hardly ever exhibited the hair in horse tail style. For identification, Vril members (also called Vrilerinnen) wore a disk which represented the two mediums: Marija Oršić and Sigrun. In late November 1924 she visited Rudolf Hess in his apartment in Munich, together with Rudolf von Sebottendorf, the founder of the Thule Gesellschaft. Sebottendorf wanted to contact Dietrich Eckart, who had deceased one year before. Eckert had translated Ibsen's plays into German and had published the magazine Auf gut Deutsch; he had also been a member of the Thule Gesellschaft. To establish contact with Eckart, Sebottendorff and other Thulists (amongst them Ernst Schulte-Strathauss) joined hands around a black-draped table. Hess was irritated to watch Maria Orsic's eyeballs rolling back and showing only whites, and to see her slumping backward in her chair, mouth agape. However Sebottendorff smiled in satisfaction as the voice of Eckart started coming out of the medium. Eckart announced that he was obliged to let someone else's voice come through, with an important message. A weird voice then identified itself as the Sumi, dwellers of a distant world, which orbits the star Aldebaran in the constellation you call Taurus the Bull. Hess and Schulte-Strathaus blinked at each other in surprise. According to the voice, the Sumi were an humanoid race who had briefly colonized Earth 500 million years ago. The ruins of ancient Larsa, Shurrupak and Nippur in Iraq had been built by them. Those of them who survived the great flood of Ut-napishtim (the Deluge of Noah's Ark) had become the ancestors of the Aryan race. Sebottendorff remained skeptical and asked for proof. While Maria was still in a trance, she scribbled several lines of queer-looking marks. Those marks turned out to be ancient Summerian characters, the language of the founders of the oldest Babylonian culture. In December 1943 Maria attended, together with Sigrun, a meeting held by Vril at the seaside resort of Kolberg. The main purpose of the meeting was to deal with the Aldebaran project. The Vril mediums had received precise information regarding the habitable planets around the sun Aldebaran and they were willing to plan a trip there. This project was discussed again the 22nd January 1944 in a meeting between Hitler, Himmler, Dr. W. Schumann (scientist and professor in the Technical University of Munich) and Kunkel of the Vril Gesellschaft. It was decided that a Vril 7 Jaeger would be sent through a dimension channel independent of the speed of light to Aldebaran. According to N. Ratthofer (writer), a first test flight in the dimension channel took place in late 1944. Maria Orsic disappeared in 1945. The 11th of March of 1945 an internal document of the Vril Gesellschaft was sent to all its members; a letter written by Maria Orsic. The letter ends: "niemand bleibt hier". Tis was the last announcement from Vril. It is speculated they departed to Aldebaran. "Oršić's daughter is probably Yolanda Raffa (her married name). Maria Oršić or Orschitsch. Her father was from Zagreb and her mother was from Vienna. So was the mother of her patron, Franziske Romana Oettingen. There may have been family connections, at least there probably were in Vienna. Franziske Romana, who donated the diamond tiara to help finance the original Vril Society, was born near Munich on September 28, 1884 and died March 25, 1931. Her mother was Berta Eszterhazy from Vienna, who was born September 26, 1857 in Hungary and died November 20, 1937 in Munich. And Berta Eszterhazy's mother had been Polyxena Lobkowitz from Prague, who had been born Polyxena Lobkovice on November 21, 1830 in Austrian teritory, and died February 3, 1913. The family connections may go back that far. Marija Orsic moved to Munich, where Franziske Romana lived, in 1919, the year that Franziske's niece and namesake was born, so there was probably a plan to dedicate her niece to the Vril from the time of her birth." Maria Orsitsch was first mentioned and pictured in 1967 by Bergier and Pauwels in their book "Aufbruch ins dritte Jahrtausend: von der Zukunft der phantastischen Vernunft". This Maria did not marry any Raffa, nor was there a daughter with last name of Stilz on Long Island. The banker Raffa grew up in Italy and is completely unrelated to youe mystical cast of characters. The only Yolanta Raffa who does live in Saddle River, is a pathetic soul who is at the same time paranoid, selfish, and a rather odd combination of dullardness and cunning. Someone who is a misanthropic gold digger. She is of course not a real Raffa and is not at all blood related. She dishonors the name and only bears it from a secondary marriage which was dysfunctional. Perhaps she bought land on Prince Edward Island, but it has no bearing upon this silly fantasy. Why are you accusing Iotanda Raffa of so many bad things. Seems that you know her very well. If you belong to the Raffa clan nobody would expect you to say anything on the contrary. Who would confirm that someone of his/her own family was related to Hitler´s associates? Think outside the box, honey. Reach around the corners with your thoughts. Didn’t you ever feel like everybody was in on some secret and you were the only one being left out? And even when you did guess it they had to tell you you was wrong? My name Parquay Wilson. Think hard about my name. Turn it around in your mind. This ain’t no mish mosh, honey child. These people and this all very real. I knowed Ms Stilits personally for that brief time when she live in Harrisburg around 1979 and for years after cause I worked for her friend who was one of her former Vril Damen. If you knowed this family like I does you not say Ms Stilts son in law born Italy. He born in a pink marble mansion on a island that belong to his family that was took by Yugoslavia. Ms Stilts she only move up to Harrisburg may have been around 1980 because her grandsons got took into some mind control experiment by Stewart Swerdlow at Camp Hero in Montauk, Long Island. Not every boy Mr Swerdlow took lived so Ms Stilts she just worried sick in particular about her one grandson that was about the same age as the grandson of the lady I worked for who was a former Vril Dame and live just one block away. So the lady I worked for asked her own grandson go up to see Ms Stilts and she asked him to take the place of her grandson with Mr Swerdlow so he could get out of the experiment and he agreed to exchange himself for Ms Stilts grandson. Then Ms Stilts she move back home to New Jersey. Then three years later her grandson going up to see her spring break 1983 and Ms Stilts she tell my boss on the phone she gonna tell her grandson they secret when he get up to see her in New Jersey from college down in Virginia. My boss lady she try to talk Ms Stilts out of it but she won’t change her mind. So lady I work for she call her grandson who living by this time in college down in Virginia with Ms Stilts grandson and he go up with her grandson to see Ms Stilts and ask her please don’t tell him cause my grandmother need this secret kept. And now they all dead all they secret was about how General von Gattendorf traded Ms Stilts drawings of Vril saucers to General Patton in exchange for they acceptance into Operation Paperclip. Her grandson would know number one the name Parquay Wilson. Think about it. Turn it around in your mind. Number two he would know Mr Raffa born on his island not Italy. Number three would know Ms Stilts move that brief time to be one block from her friend the Vril Dame in Harrisburg. And number four all he need do now is to hold up Ms Stilts picture up next to Maria Orsic picture to see her same tiny nose. Rare Leni Riefenstahl footage of Edward VIII? I am looking for rare Leni Riefenstahl footage but especially her coverage of a wedding in which Edward VIII gave the bride away either shortly before or shortly after his Abdication in the late Thirties. 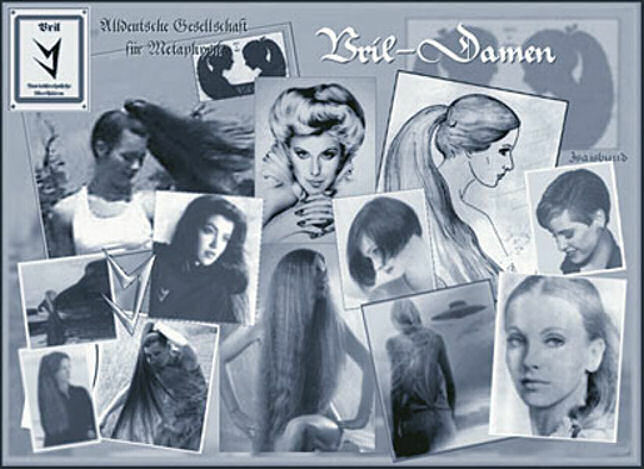 Wallis Simpson and Maria Orsic were bridesmaids to one of Orsic's Vril Damen and it took place in the Vril Temple. It was the wedding of General von "Gattendorf" (von Altenstadt) and I would really like to view it. Can anyone help? Hans-Georg Schmidt von Altenstadt was the last baron von Altenstadt of the castle Schloss Gattendorf and the last in life of the old aristocratic family Von Schmidt auf Altenstadt. He finally reached the rank of Generalmajor. Promotions: 1st July 1944: Generalmajor. The Vril Society was formed by a group of female psychic mediums led by the Thule Gesellschaft medium Maria Orsitsch (Orsic) of Zagreb, who claimed to have received communication from Aryan aliens living on Alpha Cen Tauri, in the Aldebaran system. Allegedly, these aliens had visited Earth and settled in Sumeria, and the word Vril was formed from the ancient Sumerian word "Vri-Il" ("like god"). A second medium was known only as Sigrun, a name etymologically related to Sigrune, a Valkyrie and one of Wotan's nine daughters in Norse legend. The Society allegedly taught concentration exercises designed to awaken the forces of Vril, and their main goal was to achieve Raumflug (Spaceflight) to reach Aldebaran. To achieve this, the Vril Society joined the Thule Gesellschaft to fund an ambitious program involving an inter-dimensional flight machine based on psychic revelations from the Aldebaran aliens. Members of the Vril Society are said to have included Adolf Hitler, Alfred Rosenberg, Heinrich Himmler, Hermann Göring, and Hitler's personal physician, Dr. Theodor Morell. These were original members of the Thule Society which supposedly joined Vril in 1919. The NSDAP (NationalSozialistische Deutsche ArbeiterPartei) was created by Thule in 1920, one year later. Dr. Krohn, who helped to create the Nazi flag, was also a Thulist. With Hitler in power in 1933, both Thule and Vril Gesellschafts allegedly received official state backing for continued disc development programs aimed at both spaceflight and possibly a war machine. After 1941 Hitler forbade secret societies, so both Thule and Vril were documented under the SS E-IV unit. The claim of an ability to travel in some inter-dimensional mode is similar to Vril claims of channeled flight with the Jenseitsflugmaschine (Other World Flight Machine) and the Vril Flugscheiben (Flight Discs). Copyright © MCMXCVI–MMXV Periodical Co. 1stmuse.com All rights reserved.